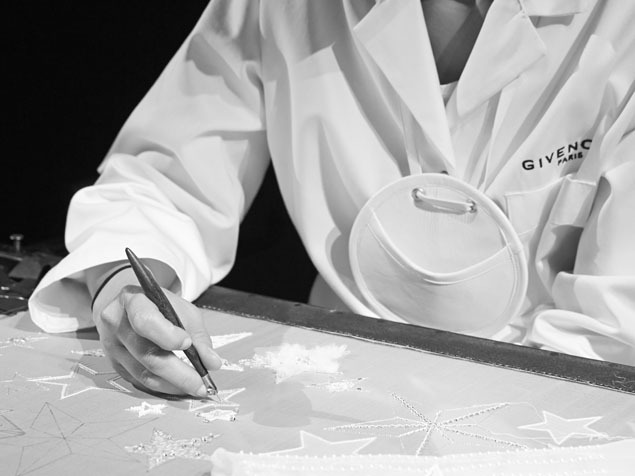 The House of Givenchy is honoured to announce Artistic Director Clare Waight Keller custom designed the wedding gown worn by Ms. Meghan Markle to the Royal Wedding on May 19th, 2018 in London, UK. It is truly an honour to have been given the opportunity to closely collaborate with Meghan Markle on such a remarkable occasion. 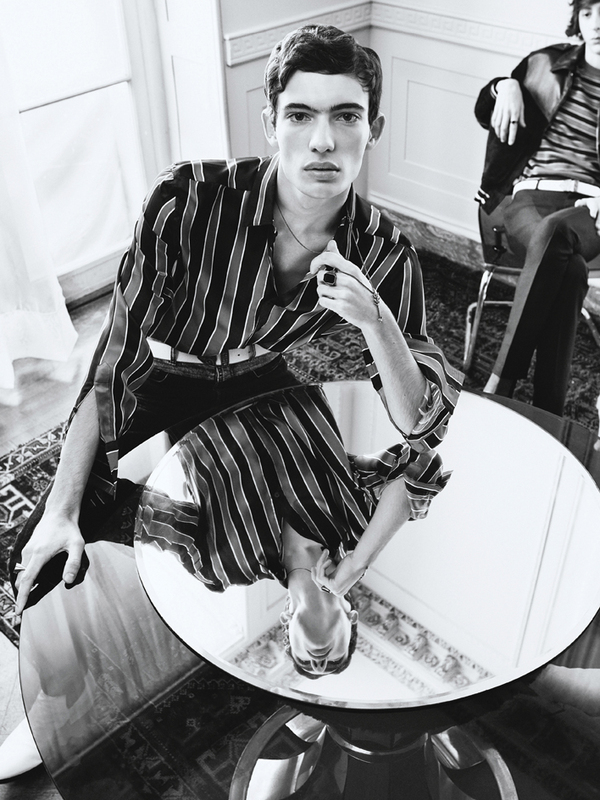 We wanted to create a timeless piece that would emphasize the iconic codes of Givenchy throughout its history, as well as convey modernity through sleek lines and sharp cuts. In contrast, the delicate floral beauty of the veil was a vision Meghan and I shared, a special gesture embracing the commonwealth flora, ascending the circumference of the silk tulle. As a British designer at a Parisian Haute Couture house, and on behalf of all us at Givenchy who have been able to experience such an extraordinary process of creativity, I am extremely proud of what we have accomplished and grateful to Meghan Markle, Prince Harry and Kensington Palace for allowing us to be part of this historical chapter. It has been an immensely rewarding experience to get to know Meghan on a personal level, one I will forever carry with me. The House of Givenchy joins me in wishing her and Prince Harry every wish of happiness in their future. The dress epitomizes a timeless minimal elegance referencing the codes of the iconic House of Givenchy and showcasing the expert craftsmanship of its world-renowned Parisian Haute Couture atelier founded in 1952. True to the heritage of the house, the pure lines of the dress are achieved using six meticulously placed seams. The focus of the dress is the graphic open bateau neckline that gracefully frames the shoulders and emphasizes the slender sculpted waist. The lines of the dress extend towards the back where the train flows in soft round folds cushioned by an underskirt in triple silk organza. The slim three quarter sleeves add a note of refined modernity. Ms. Markle expressed the wish of having all 53 countries of the Commonwealth with her on her journey through the ceremony. Ms. Waight Keller designed a veil representing the distinctive flora of each Commonwealth country united in one spectacular floral composition. The veil is five meters long and made from silk tulle with a trim of hand-embroidered flowers in silk threads and organza. Each flower was worked flat, in three dimensions to create a unique and delicate design. The workers spent hundreds of hours meticulously sewing and washing their hands every thirty minutes to keep the tulle and threads pristine. In addition to the flora of the Commonwealth, Ms. Markle also selected two personal favorites. Symmetrically placed at the very front of the veil, crops of wheat are delicately embroidered and blend into the flora, to symbolize love and charity. The wedding shoes are based on the Givenchy refined pointed SS18 Haute Couture design made of a silk duchess satin. Clare Waight Keller also designed the six young Bridesmaids’ dresses, hand crafted in the Givenchy Haute Couture Atelier in Paris. The dresses were designed to have the same timeless purity as Ms. Markle's dress. Each dress is sculpted in Ivory silk radzimir, and is high-waisted with short puff sleeves and hand finished with a double silk ribbon detail tied at the back in a bow. The Bridesmaids’ dresses include pockets and pleated skirts to create a relaxed and luxurious silhouette.